New Thing Nurse will be in Seattle to join the Emergency Nurses Association (ENA) for their Spring Regional Symposium! Follow along as Sarah K. Wells, MSN, RN, CEN, CNL reports from the premier Spring ENA event on the West Coast! Sarah K. Wells, MSN, RN, CEN, CNL will be BACK at her favorite conference of the year - Emergency Nursing 2019 - held in fabulous Austin, Texas. Join in on all the fun from deep in the heart of Texas as Sarah updates on all the latest in emergency medicine, advocacy, leadership and more at the biggest emergency nursing conference in the world. 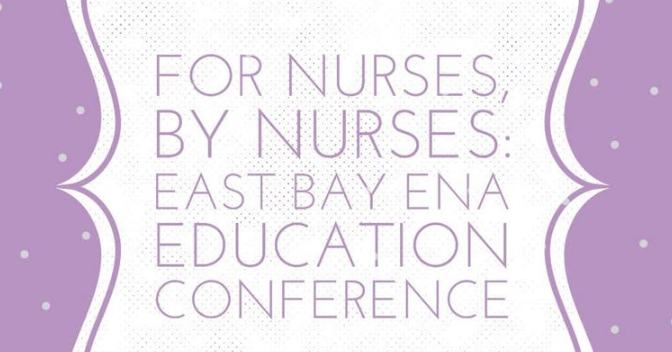 Sarah K. Wells, MSN, RN, CEN, CNL will be at East Bay ENA’s: For Nurses, By Nurses Conference held at John Muir Health in Walnut Creek, California. Enjoy a day of education, networking and vendors at this conference put on by ED nurses for ED nurses. Sarah K. Wells, MSN, RN, CEN, CNL will be speaking at Healthcare Travelers Take Omaha Conference! A 2-day event dedicated to educating and networking for traveling nurses and other healthcare professionals, Sarah will be presenting “How to Land Your Dream Travel Nursing Job” with tips and tricks to make sure you get your dream job in your dream locale each and every time. New Thing Nurse will be a supporting New Jersey ENA State Council as an Exhibitor at their 41st annual New Jersey ENA State Council Emergency Care Conference - 2019 Emergency Nursing March Madness! Visit Sarah from New Thing Nurse at the booth in the Exhibitor Hall and follow the New Thing Nurse social media to follow Sarah as she explores one of the largest ENA State Council conferences in the country from beautiful Atlantic City, New Jersey! Sarah K. Wells, MSN, RN, CEN, CNL will be attending ENA’s 2019 State and Chapter Leaders Orientation in Chicago, IL. Tune in to the New Thing Nurse Instagram feed and Facebook Page as Sarah will be updating live from this ENA leadership development event with #emergencynurseleaders from all over the United States. New Thing Nurse is heading to Chicago!! Sarah K. Wells, MSN, RN, CEN, CNL will be co-presenting with Allison Shuttleworth, MSN, RN, CEN at the Emergency Nurses Association's Fall Regional Symposium. Come enjoy a two days of education, networking & enjoying all things emergency nursing in beautiful Orlando, Florida! Join Sarah & East Bay ENA for a fun day of education & networking with the best & brightest of the Bay Area nursing community! Receive 7 CE's while attending a day of lectures on trending topics in emergency nursing. Ticket price includes a catered lunch, lecture access for 7 CE's, opportunity drawings for prizes & a vendor hall! *Educational topics subject to change due to speaker availability. Buy your tickets soon! They will go fast! Sarah K. Wells, MSN, RN, CEN, CNL will be taking the stage at ENA's 2018 national conference on Saturday, September 29th to lecture on Pediatric Care in the ED! Sarah will also be all over the conference, learning & networking with nurse leaders from emergency departments all over the country! Join Sarah in person or follow her on the New Thing Nurse social media accounts to see all there is to see at Emergency Nursing 2018! Sarah K. Wells, MSN, RN, CEN, CNL is excited to be returning to Samuel Merritt University to be speaking to their students about burnout prevention and stress management strategies for being successful in the classroom as well as the clinical setting! Sarah K. Wells, MSN, RN, CEN, CNL will be speaking at the San Francisco Emergency Nurses Association's TRAUMACON 3. Come enjoy a day of networking & trauma education at the Zuckerberg San Francisco General Hospital & Trauma Center.